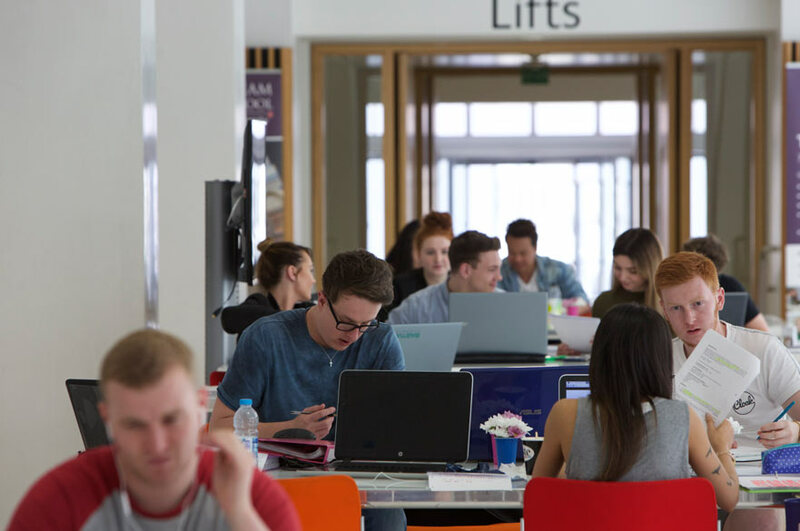 Nottingham Trent University has won a global award for researching how student success rates vary according to gender, ethnic and social backgrounds to inform a major strategy to improve outcomes for all students. The University was awarded The Global Equality and Diversity Research Award for the work behind its Success for All strategy. The award celebrates outstanding examples of research methods and insights into diversity and equality in organisations, companies or services. The Success for All strategy is based on the University’s analysis which showed that male students, black and minority ethnic (BME) students, students from low socio-economic backgrounds and students entering higher education via a vocational qualification route were more likely to withdraw from their course, less likely to achieve a ‘good degree’ and less likely to progress to further study or professional occupations. The situation was replicated across the higher education sector but NTU launched a strategy – called Success for All – to address the issue. It involves a sustained campaign of information raising through workshops, guest lectures, data sharing and targeted communications to key staff. In parallel, the University delivered over 20 action research projects focused on activities such as tutoring, peer mentoring and study support. It is also in the process of using the evidence from these trials to launch large scale strategic change plans. Professor Eunice Simmons, Pro Vice-Chancellor Academic, said: “It is particularly pleasing to be recognised for our work on Success for All with an award which is open to both public and private sector organisations from all industries – not just higher education. The success of the strategy is also supported by the NTU Student Dashboard. This dashboard systematically tracks student engagement by recording learning activities such as library use, IT logins, attendance and coursework submission. These data are easily accessible to both students and staff and the University’s analysis demonstrated that those students identified as low engagers by the Dashboard were significantly more likely to withdraw from their studies and achieve lower grades. The dashboard automatically alerts tutors about students with low engagement so they can intervene accordingly. The University’s evidence showed that these low engaged students were also disproportionately from disadvantaged backgrounds, enabling it to target interventions based on student behaviours rather than characteristics, thereby avoiding the necessity to ‘label’ students from different backgrounds. Moreover, the Dashboard data appear to be more likely to motivate these students to increase their engagement. For example, 93% of BME students reported that they had increased the amount of time spent studying after using the Dashboard compared with 78% of their white peers and were also twice as likely to be spurred on to book an appointment with their tutor (March 2016). Announcing the award, writer and broadcaster Simon Fanshawe said that the judging panel had concluded that "this was a striking example of a university subjecting itself to internal research...Nottingham Trent developed a solution which reduces the gaps in retention rates and good degrees across most of the noted disadvantaged groups, so congratulations...and well done Nottingham Trent."